Bluejeans is a cloud-based video conferencing service that enables all parties to easily connect to the same meeting using their video conferencing platform of choice. So whether you use Cisco, Polycom, LifeSize, Microsoft Lync/Skype for Business, Google Hangouts – to name a few – you can easily collaborate with co-workers, customers and partners. 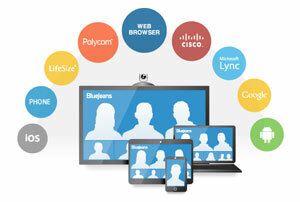 Connect through your browser or mobile device using a dedicated web application and mobile application for HD video conferencing from BlueJeans. BlueJeans brings together business and consumer Video Conferencing solutions, and extends high quality video collaboration outside of the meeting room. Collaborate with colleagues, customers and partners with a scalable, secure and frustration free platform. 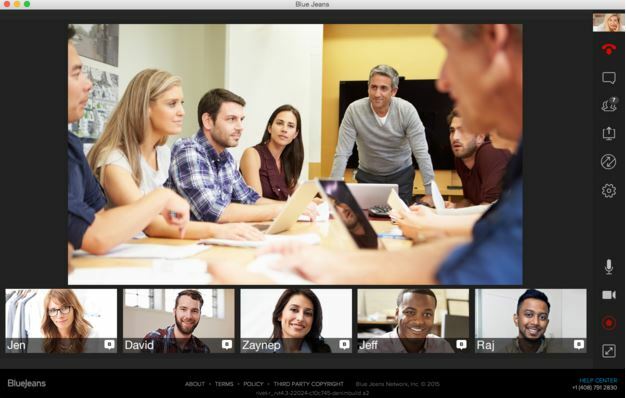 Blue Jeans supports up to 25 video or audio endpoints in standard meetings and up to 100 endpoints with the Large Meetings add-on feature, making it perfect for everything from global team meetings and online training to sales calls and HR interviews. Share your latest marketing slides or budget-tracking sheet in high definition, up to 1080p. Dual-stream support ensures the quality of both the video feed and shared content. Now you can record, watch and share your Blue Jeans meetings, including the video, audio and content being shared. Basic Recording is included for all users while Enhanced Recording (unlimited storage, online playback, additional sharing options) is available as an add-on service. IT staff can utilize a centralized admin console to add and manage users, as well as set access permissions and passwords. Blue Jeans also supports single sign-on (SSO)and integrates seamlessly into your Outlook or Google Calendar for easy scheduling. VideoCentric, the UK’s leading video conferencing integrator has been working with BlueJeans since its inception, and provides value-added services to improve your BlueJeans experience. Taking an unbiased approach, VideoCentric includes BlueJeans in its larger cloud portfolio for customers to use, compare & choose the right solution for them. 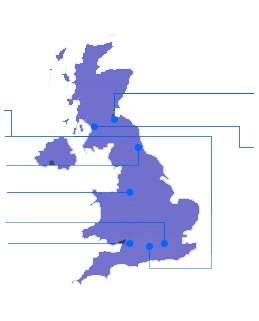 We have stringently tested, used & integrated the solution into numerous private & public sector organisations, and would like to share this information with customers to ensure the right solution is chosen for their organisation. For more information about how BlueJeans compares to other solutions including the Lifesize Cloud, VideoCloud, EasyMeeting, Vidyo VaaS-T and more, please contact our cloud specialists today.